Cleansing wipes may be handy for initial makeup removal, but they’re more likely to be moving the grime and oil around your face rather than cleaning it away. This leaves the pores clogged which can lead to breakouts and what’s more, the harsh chemicals in the wipes also strip the skin of its natural protective oils. For safe and proper cleansing, gently dissolve your makeup with a cleansing water, such as our Micellar Cleansing Water with Rose Petals. Follow this up with a second cleanse; either a cleansing oil or foaming cleanser from our Cleansers with Rose Petals range for a more intense cleansing. Double cleansing will ensure that you’ve removed all dirt and impurities whilst leaving the skin soft. There’s a fine line between under and over cleansing and whilst exfoliation is an effective way to remove dirt and dead skin cells, it’s incredibly easy to over-do it. Too much aggressive exfoliation can cause your skin to become thinner, so naturally less resistant to UV rays. Avoid using exfoliating scrubs too often and instead chose a gentle formula which also aims to soothe and hydrate. If you are found of exfoliation, use a soft formula such as our Aquabella® micro-exfoliating cleansing gel. This exfoliator can be used daily and uses micro beads which are designed to cleanse the pores to remove excess sebum and grime. We’ve said it once and we’ll say it again, one of the worst crimes you can commit to your complexion is leaving out the SPF. Even when it’s rainy and cloudy, the sun’s UVB and UVA rays can be causing irreversible damage. Wrinkles, loss of elasticity and brown spots later in life are hugely down to sustained sun damage, therefore some level of daily sun-protection is essential. But using makeup with SPF just won’t cut it, you should be opting for a dedicated facial SPF such as our NUXE Sun Facial Sunscreen. Application also doubles up as a morning moisturiser so you’re saving yourself time whilst giving your skin adequate sun protection. Skincare isn’t just about products, lifestyle plays a huge part in the radiance and condition of our skin. We know how hectic life can get, but regularly skipping on your eight hours can leave the skin looking puffy and dull and our imperfections exaggerated. 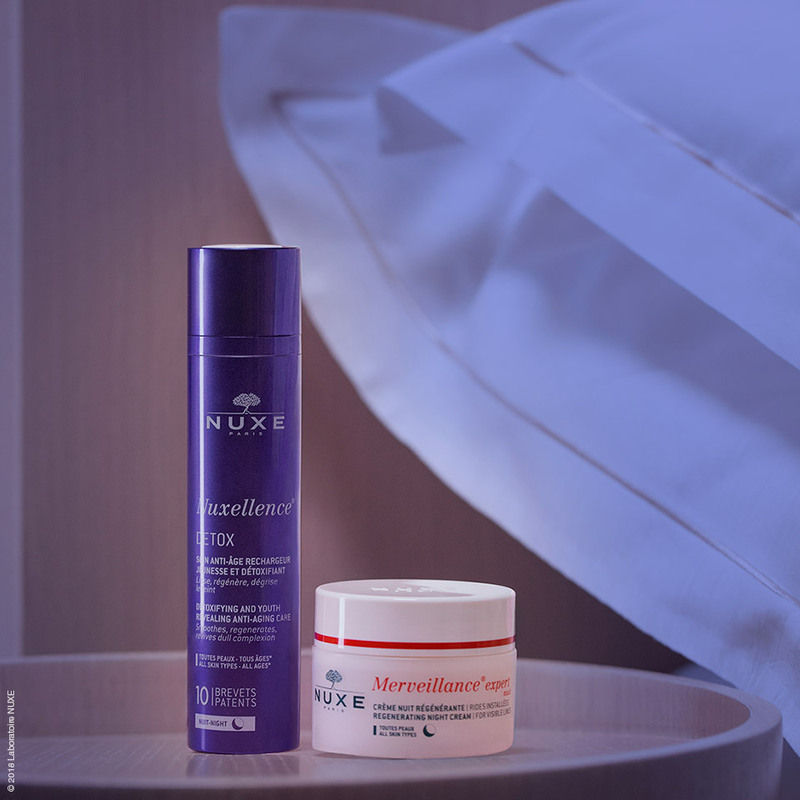 Beauty sleep is no myth; at night our skin cells regenerate which helps to keep the complexion young and radiant. A lack of it increases our body’s levels of stress hormone, cortisol, causing excess inflammation and acne breakouts. Furthermore, increased cortisol can lead to the breakdown of collagen and as a result, the formation of wrinkles and lines. The verdict? Early nights are your new best friend. In the same way that one size will never fit all, no moisturiser will suit everyone. If you’re finding your skin to be overly dry or overly oily, you may find that you’re using the incorrect formula for your skin type. For those with dry or dehydrated skin, you’ll need a creamy, nourishing formula that contains powerful ingredients to penetrate moisture into the skin. Our Crème fraîche® de beauté uses plant milks and algae extracts to soften and intensely hydrate the complexion. It’s also an anti-pollution moisturiser so will protect against pollutants which can contribute to early skin ageing. 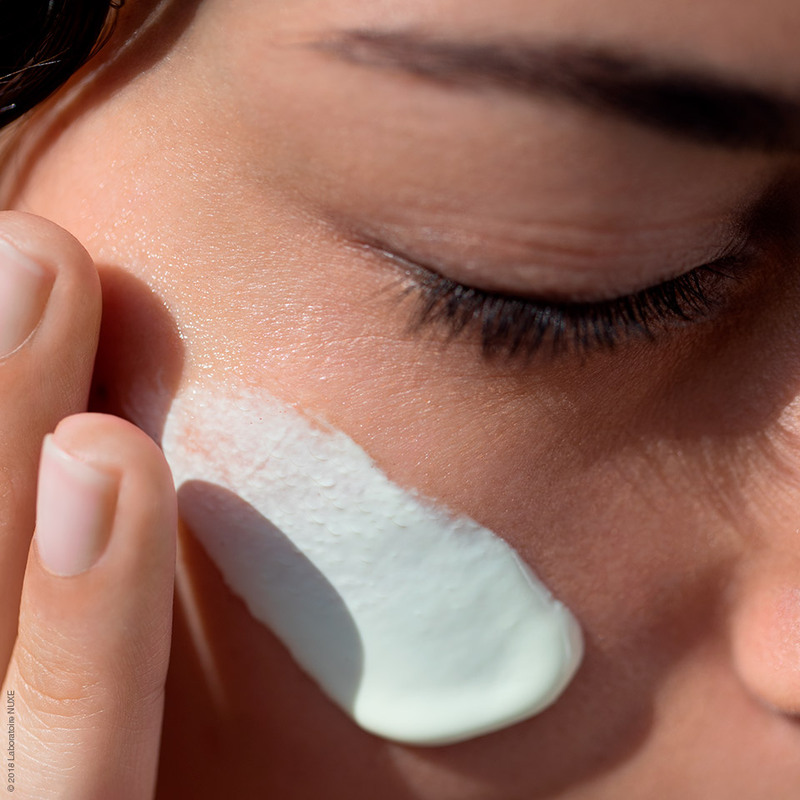 Even if you have an oily complexion, a moisturiser is an integral part of your skincare routine. If you fall into this group, you’ll want to opt for a lighter gel-based moisturiser or fluid formula such as our Crème fraîche® de beauté Moisturising Fluid cream which will provide hydration whilst mattifying any oily areas. Purge your skincare sins by shopping our Cleansers with Rose Petals and Crème fraîche® de beauté ranges on the NUXE site.